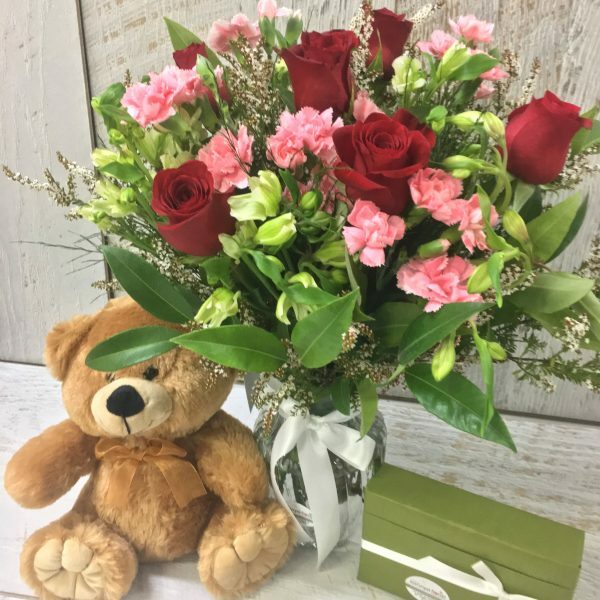 Nothing says “I Love You” more than a stunning rose and carnation bouquet in a vase with a cuddly teddy bear and delectable Cadbury chocolates. 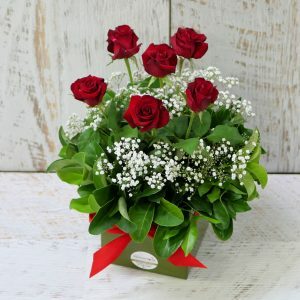 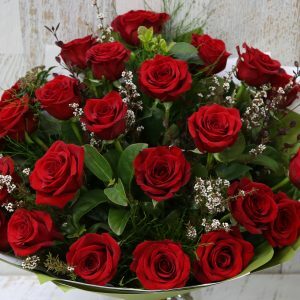 Saying “I Love You” is made easy when you cover all bases or stunning flowers in a vase, a cute teddy and yummy chocolates. 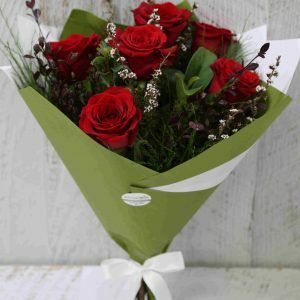 Colour combination or contents may change due to seasonal availability but we will be sure to provide flowers to equal or greater value.